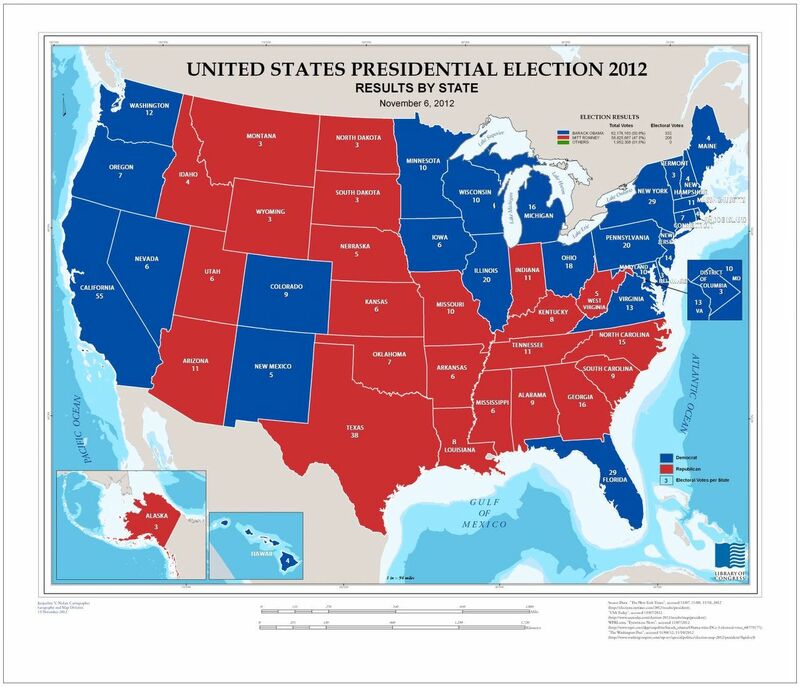 Map of 2012 United States Presidential Election Results from the collections at the Library of Congress. This guide provides students with recommended resources for conducting research on topics related to Political Science. Use the tabs above to navigate through the pages of the guide. Credo Reference: Contains the full text of nearly 600 encyclopedias, dictionaries, bilingual dictionaries, and other reference books covering all major subject areas. Thousands of Topics Pages provide articles from different reference sources, arranged by subject. Reference books are also a good place to begin your research. These resources are available in the Luria Library Reference section. Ask a librarian for additional help finding reference books related to your topic. Search the library catalog (books+) for books on your topic. The library’s collection includes both print books and online ebooks. Search for books on your topic by keyword. CQ Researcher Online: An excellent source of pro/con information, containing single-themed reports on issues in the news. Provides in-depth, unbiased coverage of both sides of controversial issues related to health, social trends, criminal justice, international affairs, education, the environment, technology, and the economy. Each 12,000-word report includes: an introductory overview; background and chronology on the topic; an assessment of the current situation; tables and maps; pro/con statements from representatives of opposing positions; and bibliographies of key sources. Offers access to CQ Researcher reports dating back to 1991, and access to CQ Global Researcher articles, which provide in-depth coverage of global affairs from a number of international viewpoints. Military & Government Collection: Contains reports, published monthly, covering pressing political, social, environmental, and regional issues from around the globe, written by journalists with years of international experience. Each report includes sections such as “Issue Questions” and “Pro-Con,” along with chronologies of major events, excerpts from primary source materials, visual aides such as maps, charts, and graphs, and a glossary and bibliography. Religion & Philosophy Collection: Provides full text articles from more than 300 magazines and journals, covering topics such as world religions, major denominations, biblical studies, religious history, epistemology, political philosophy, philosophy of language, moral philosophy and the history of philosophy. C-SPAN: C-SPAN is a non-profit public service of the cable television industry that covers the political process. This page covers the gamut of political affairs and offers a large podcast and streaming video collection. Occupational Outlook Handbook — Political Scientists: Overview and quick facts about a career in Political Science, from the Bureau of Labor Statistics. National Association of Schools of Public Affairs and Administration: Find information about schools and careers in public administration, public policy, and public affairs. Always check with your professor about which citation style is required for your assignments. The MLA Formatting and Style Guide: A broad overview of MLA style from Purdue University’s Online Writing Lab. Camosun College APA Citation: Provides great examples of citations for a spectrum of sources.